Time to share my #beautifulsunday that was the brainchild of @ace108. 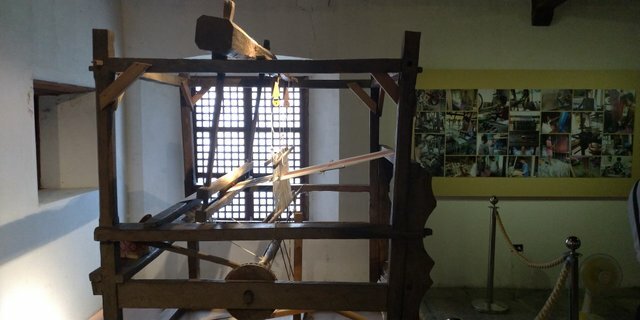 Let's revisit this historical city that can be found in the north of the beautiful island of the Philippines. 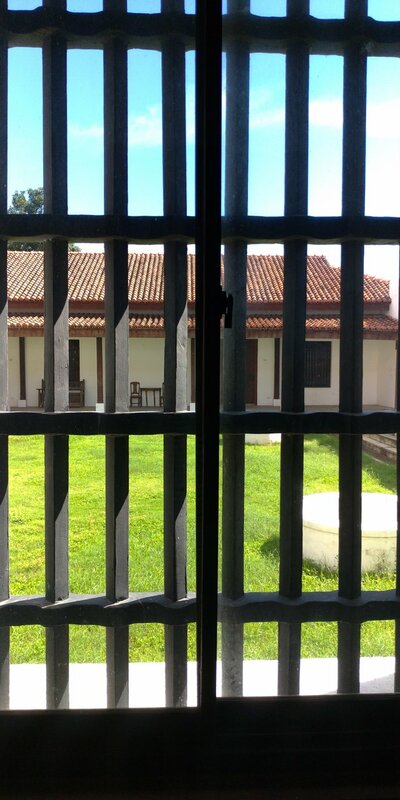 What better way to experience it and relive the olden times than to tour the city and see the preserved colonial Spanish architecture. Why is that? 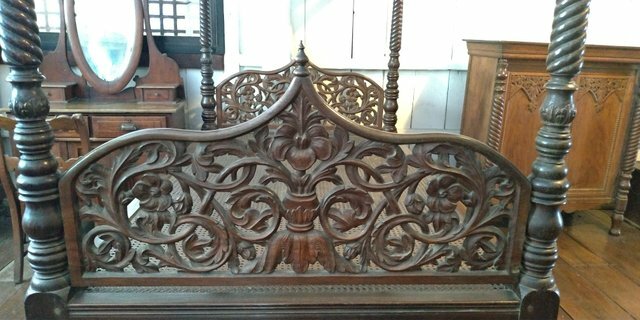 Philippines had been under the Spanish regimen for 300 years and with that period of time, the country had been ruled and overpowered - from culture to architecture to religion. 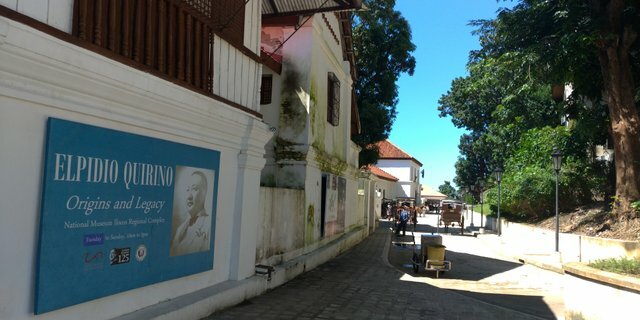 Vigan City has retained and will do so for a long time what the Spanish people had left behind. 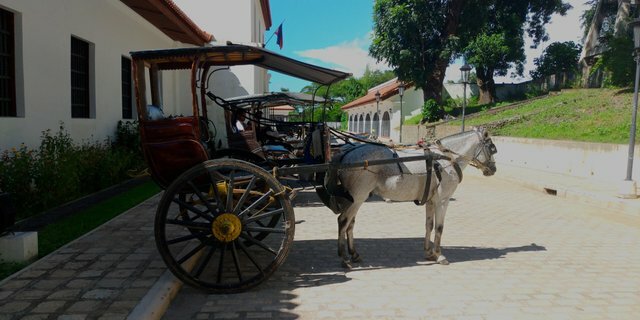 Your Vigan experience will not be that complete without taking the kalesa (horse-drawn carriage). 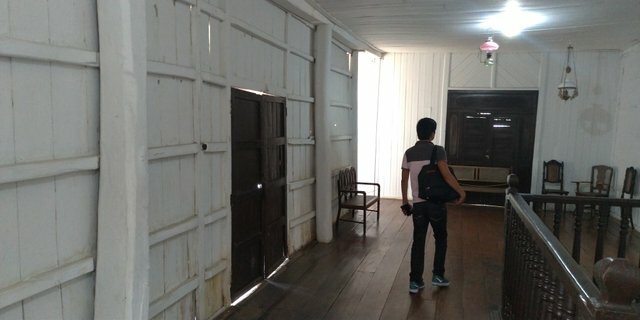 For PHP150.00, that will cover two people for a 1-hour tour. Considering how the traffic goes and how fast the kalesa is, one hour can take you to at three spots. If you are one who is a rush and wants to cover more bases, then four places is possible. 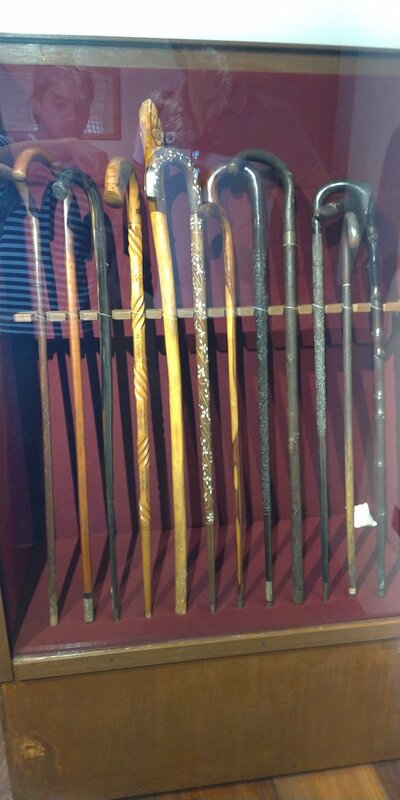 If you are one who can bear the heat and would love to take a walk, then that is recommended as well since most of the places are close to each other. 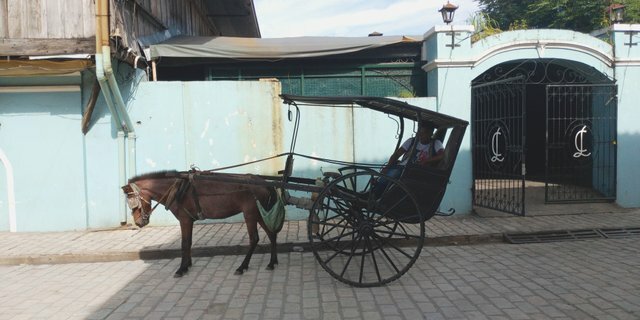 You can take kalesa for some of the tour and use tricycle to visit the other places. Whatever you choose, it's easy to get around the city since kalesas and tricycles are everywhere. Josep Apolonio Burgos or Fr. 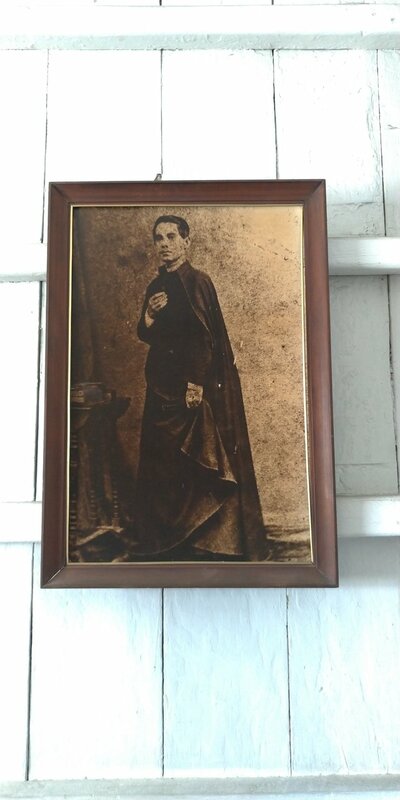 Jose Burgos was one of the three martyrs falsely accused and charged for being the masterminds of the mutiny in Cavite on January 20, 1872. Fr. 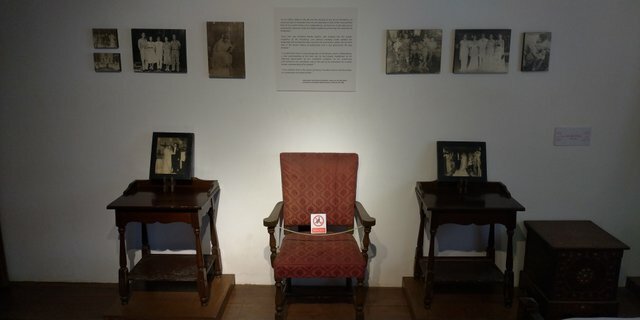 Burgos together with Fathers Mariano Gomez and Jacinto Zamora was executed by garrote on February 17, 1872 in Bagumbayan (now known as Luneta Park). 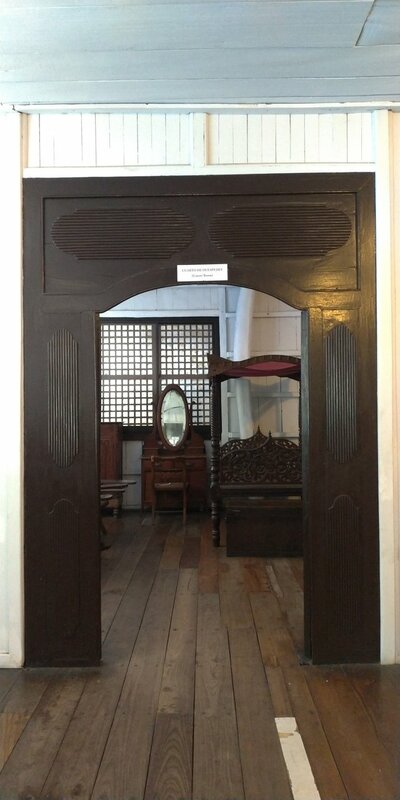 This ancestral house of the Burgos Family was sold to the Crisologos. 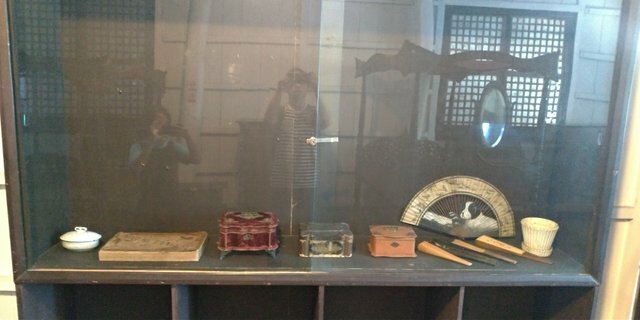 It became a post office and a bank until it was sold to the Ayalas who remade it into a museum. 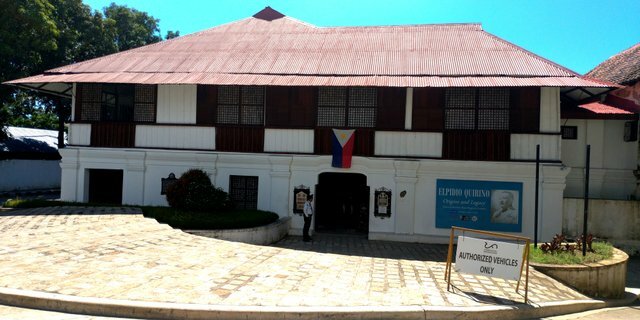 The Ayalas then turned-over the museum to the local government and since 1989 this ancestral house is administered by the National Museum. These rules are posted by the registration area. 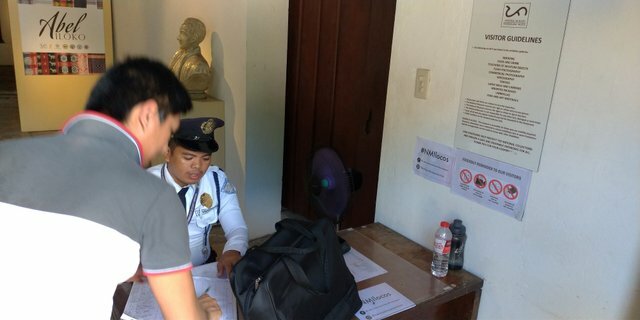 The guard who was at the registration area did not mention the rules to us but take it upon yourself to respect the place. Guards are everywhere anyway to make sure no one violates these rules. 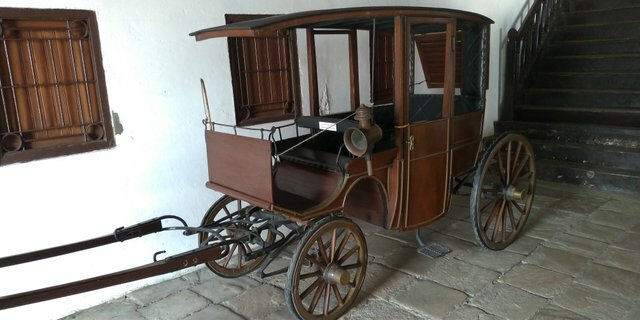 Displayed along the hallway is this carriage, directly in front of the stairs going up to the second floor. 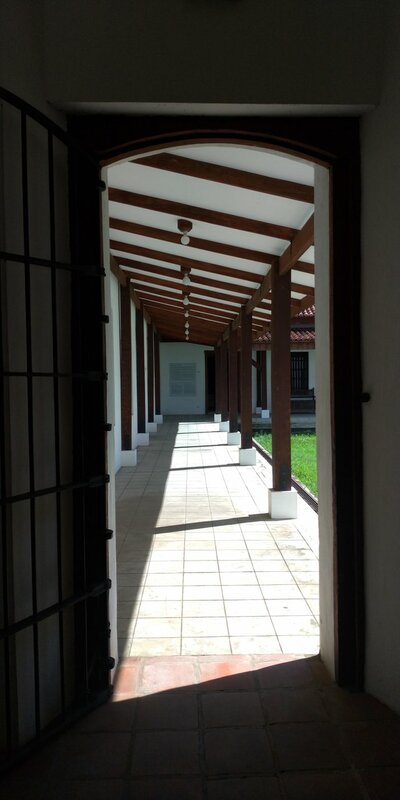 Notice that the hallways had a cobblestone floor. An aide directed us to the ground floor first. 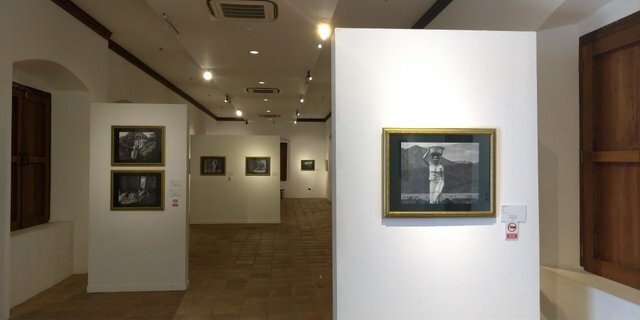 The ground floor is used as a gallery and for this particular visit, they were displaying Abel Iloko. 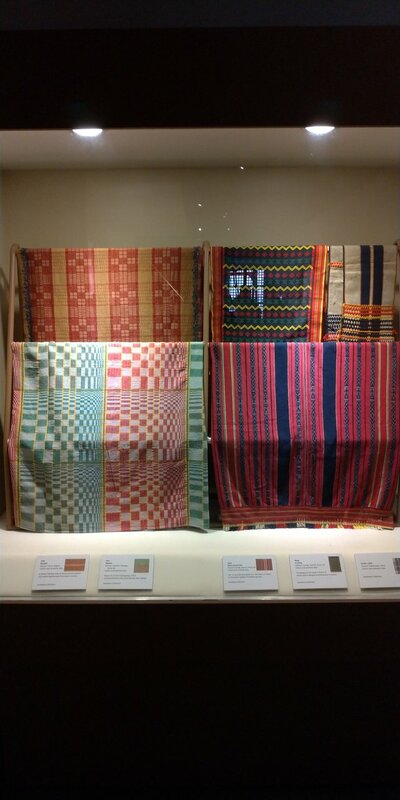 This showcases different weaving of the Ilocanos. 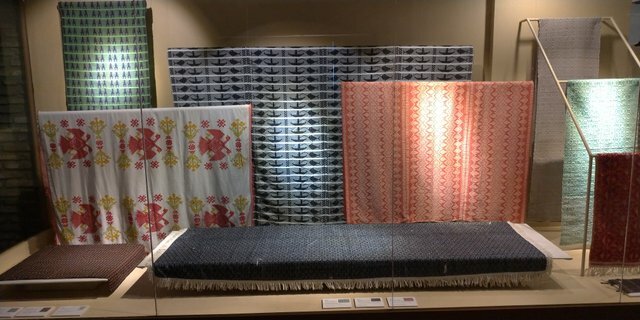 These are traditional cotton-loom textiles, turning yarns into beautifully designed fabrics which are then made into blankets, pillowcases, clothes, etc. 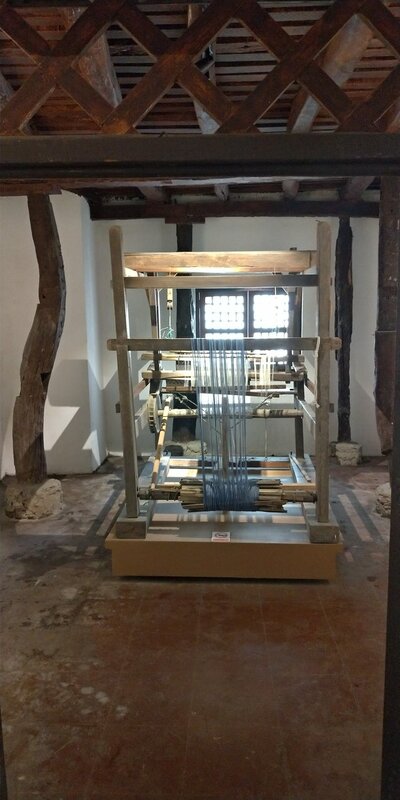 The actual tools and contraption used to weave were can be seen in the gallery. 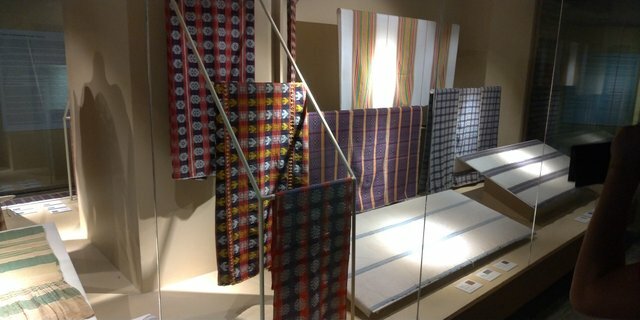 The highlight of the gallery displays the various designs of these colorful fabrics. 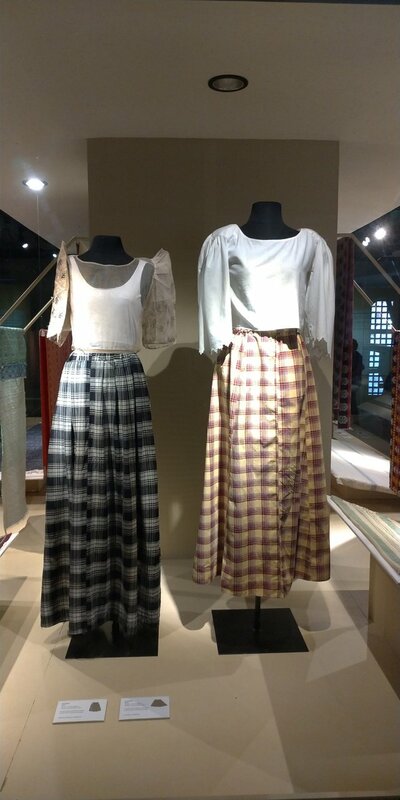 These kinds of fabrics always remind me of the biblical Joseph's coat of many colors. 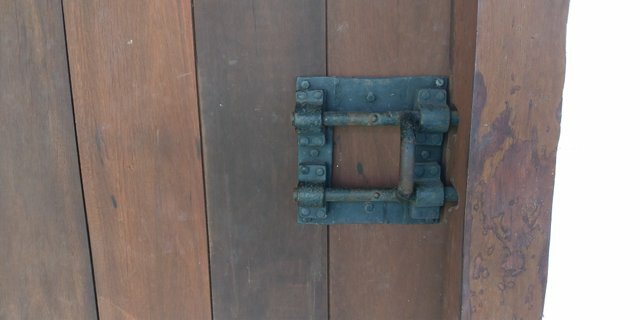 From the outside itself, it is evident how old the house is. 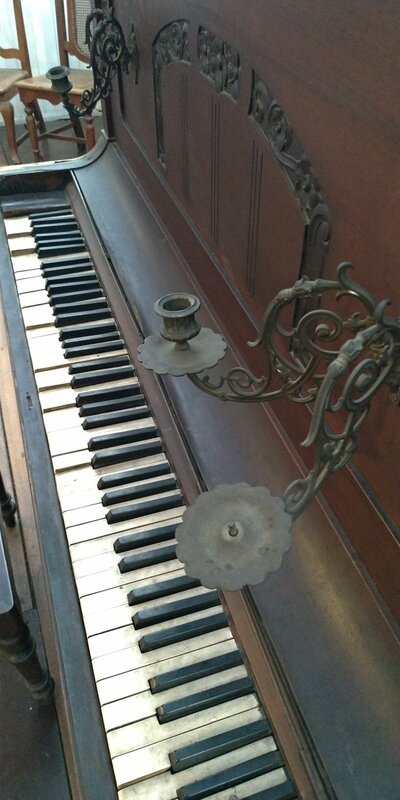 The inside of the house and all its furniture and everything about definitely takes you back a hundred years. 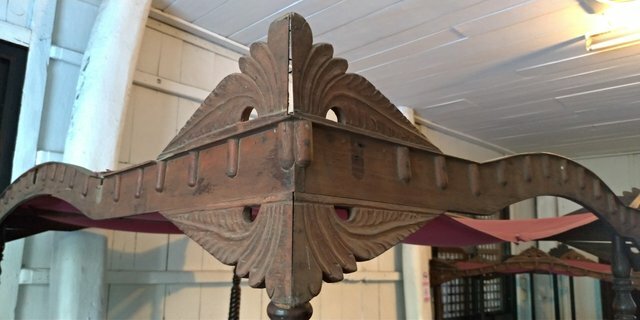 The furniture and fixtures look delicate that a touch would make them crumble leading to a domino effect that would turn the whole house, nay the whole town to dust. 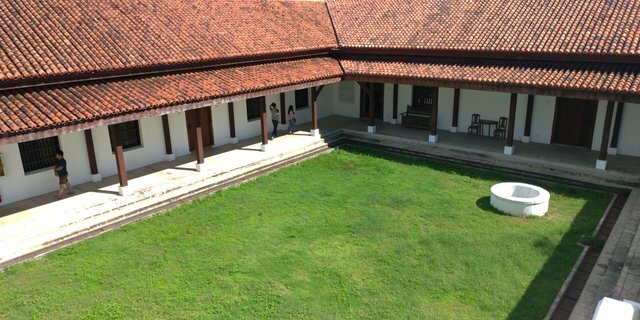 The second floor has three bedrooms and a guest room. 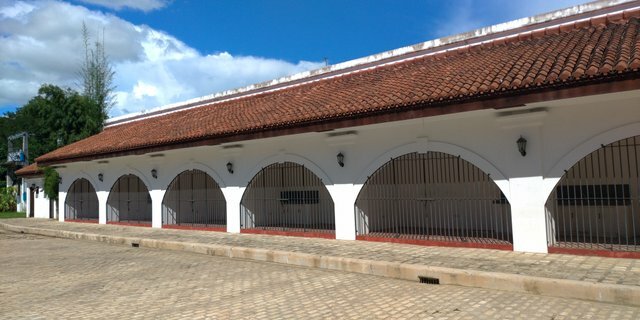 It is complete with living room, balcony, hall, dining room and kitchen. 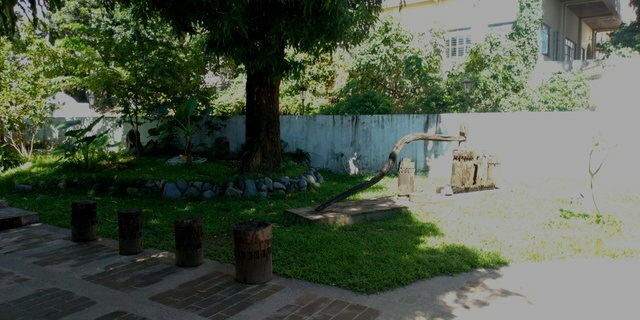 There is also a service area overlooking the garden. The stairs north of the balcony leads to the garden. 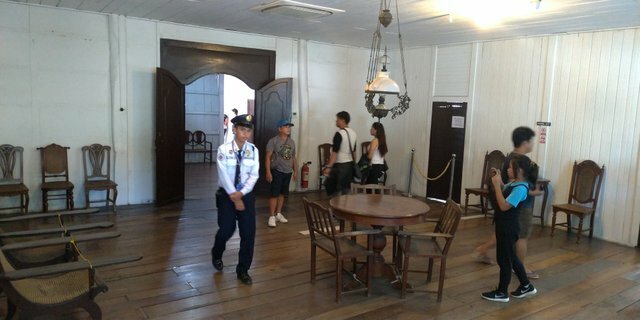 Some of the rooms are closed to the public. What available rooms that are accessible have minimum furniture in them. 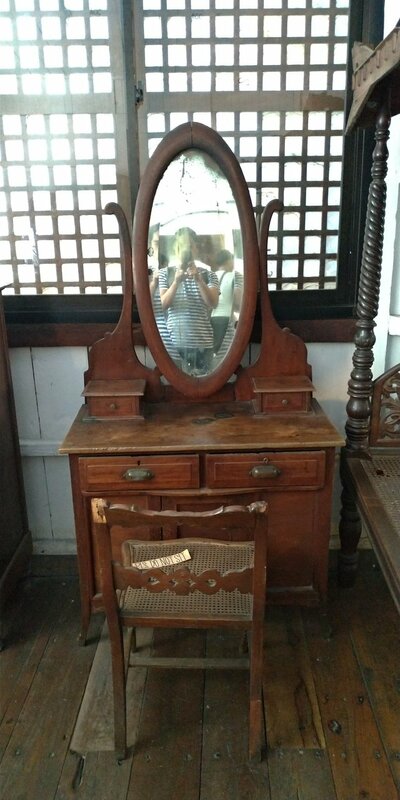 Walking in these rooms and around the house gives a nostalgic and at the same time creepy feeling especially looking into old mirrors and old decaying portraits. 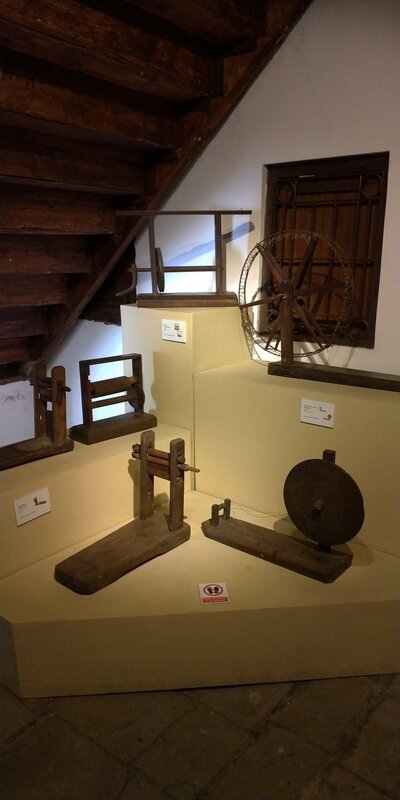 It is impressive how the museum is maintained despite of how fragile-looking it is. 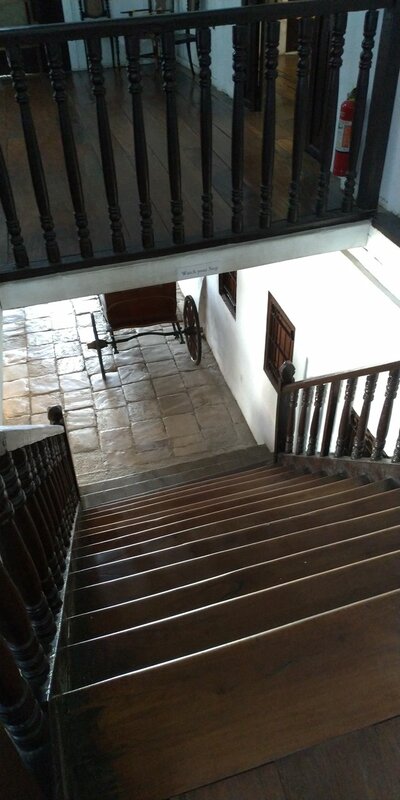 The wooden floors creak and I cannot help but be anxious with every step I make but yet again amazed that I step where people from hundreds of years ago stepped on. 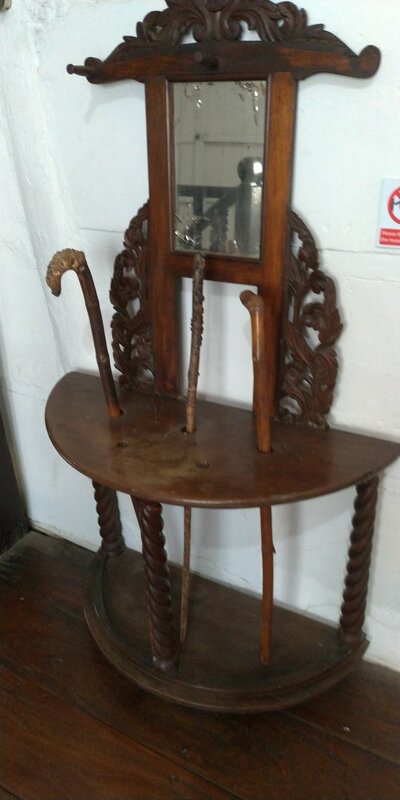 Just before we exited the museum, I saw this displayed in one of the corners of the house. This surely made Fr. Burgos turn in his grave. 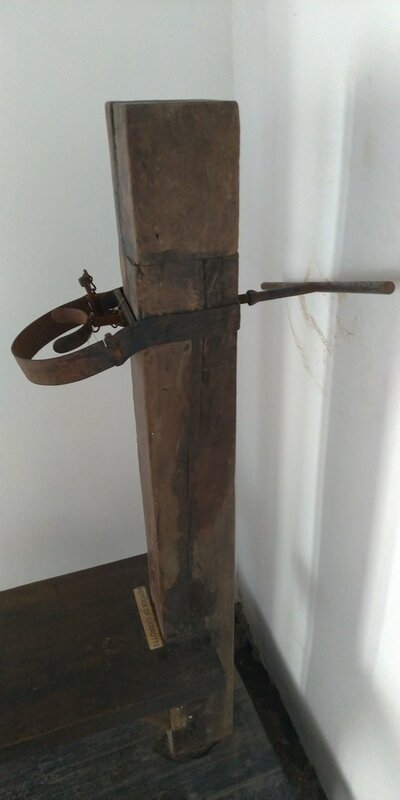 It is gruesome to die by execution and to have a replica of how you were executed displayed in your house is overkill. Is it to remind someone how cruel the Spaniards were? 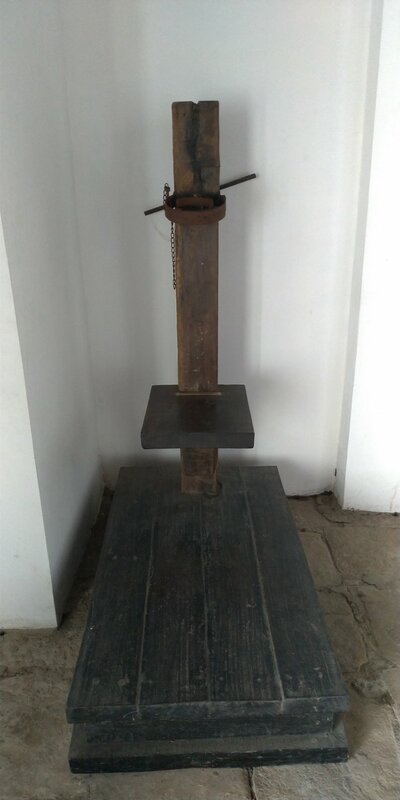 What do you think is the reason why such replica is placed in this museum? 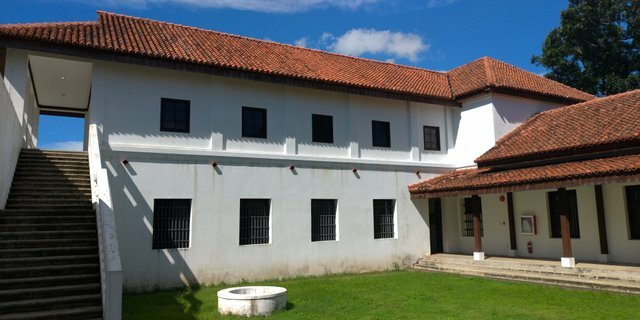 The museum is located along Burgos Street and is open Tuesdays to Sundays from 8:00 am to 5:00 pm. Ready for another grim tales? Let's head on to Gregoria M. Rivera Memorial Library. 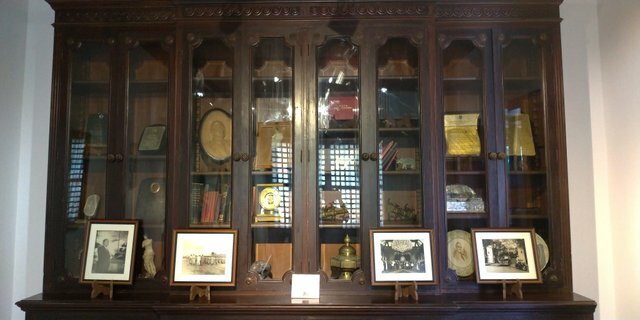 This memorial library is just beside Fr. 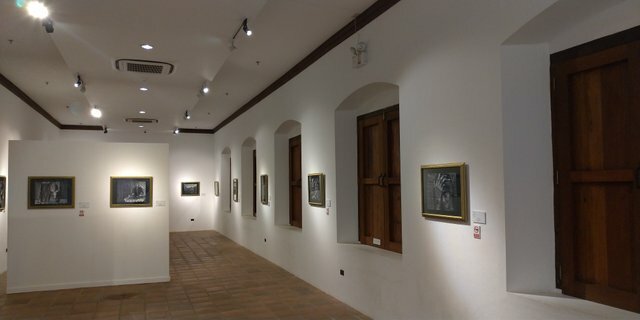 Burgos' Museum. 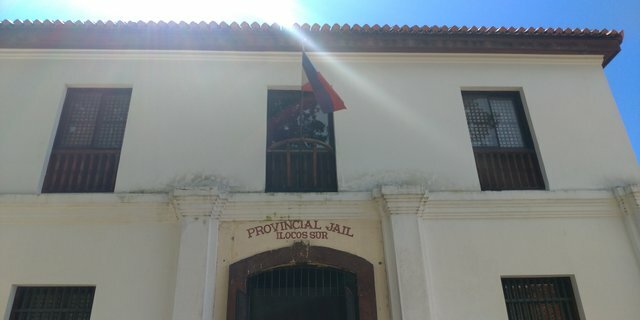 Built in 1657, this compound used to be a municipal jail and then a provincial jail when Ilocos Sur became a province. 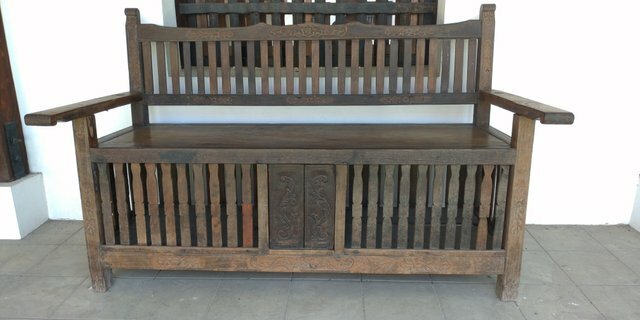 This used to serve the entire Ilocos region. 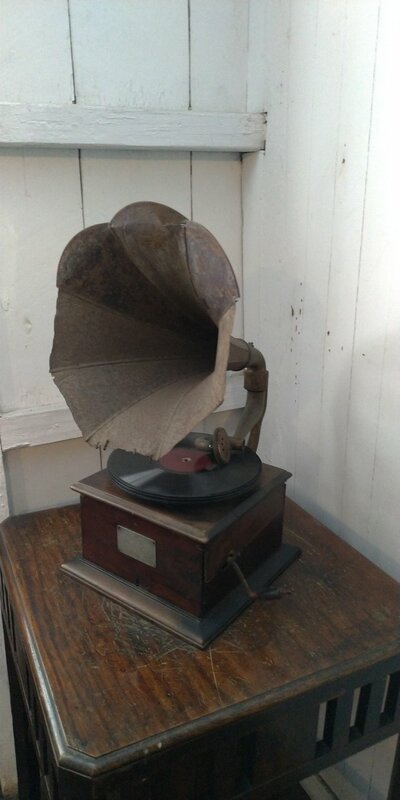 Revolutionist seized it in 1898 but then was taken over by the Americans in 1899. 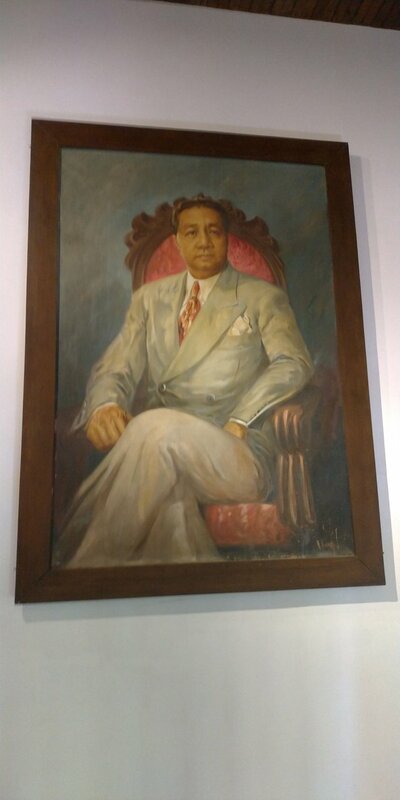 The Philippines' sixth president, Elpidio Quirino, was born here in November 1890. His father was the warden then. 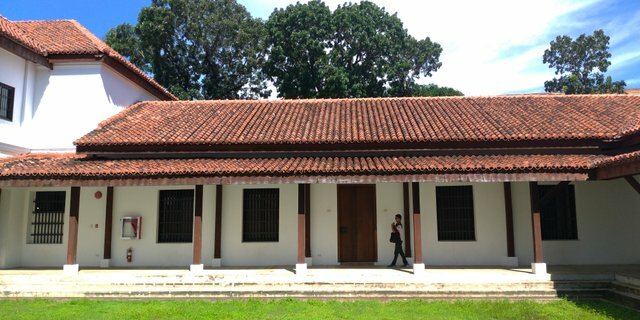 It was then converted into a library/museum in 1948 in honor of President Elpidio Quirino's mother, Gregoria M. Rivera. It is free to visit this library. 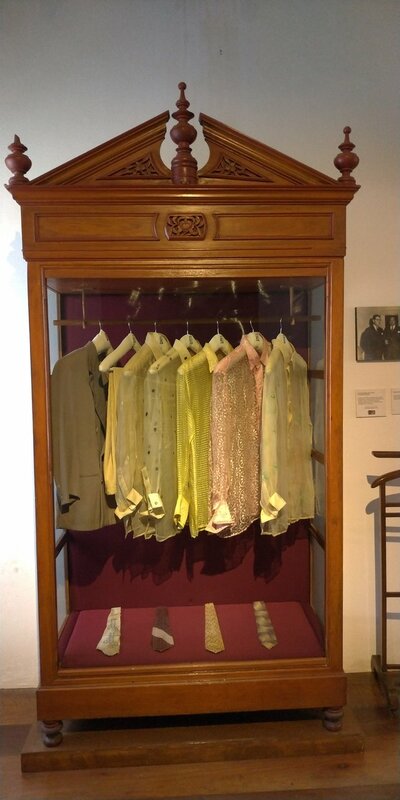 All you need to do is register at the reception desk. 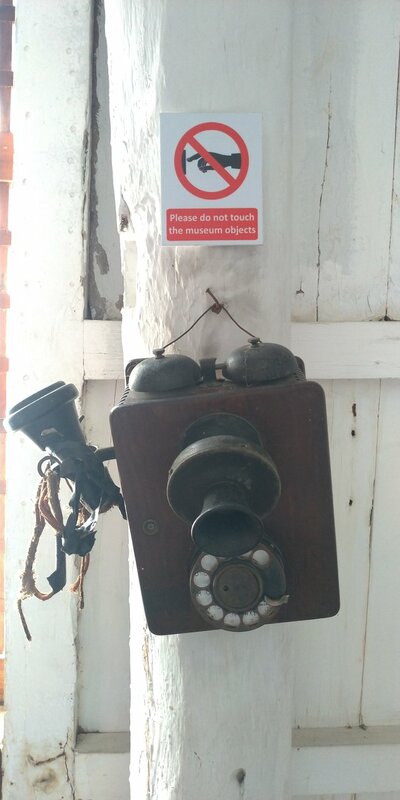 You will be asked to visit the second floor first as there is nothing much to see after that. 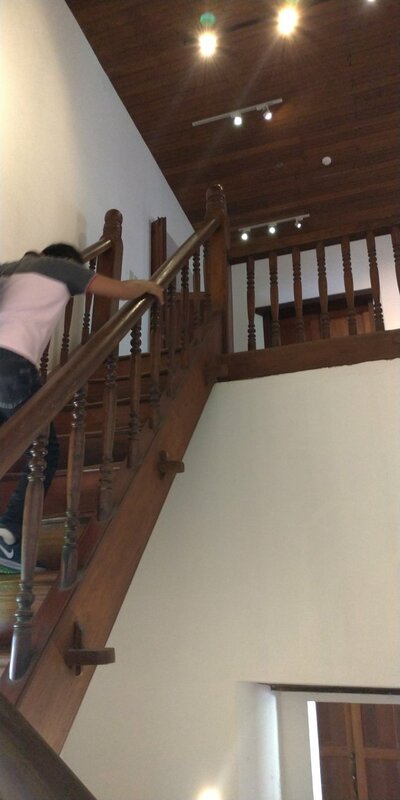 You have to climb the steep wooden steps which leads you to rooms and a large hall. 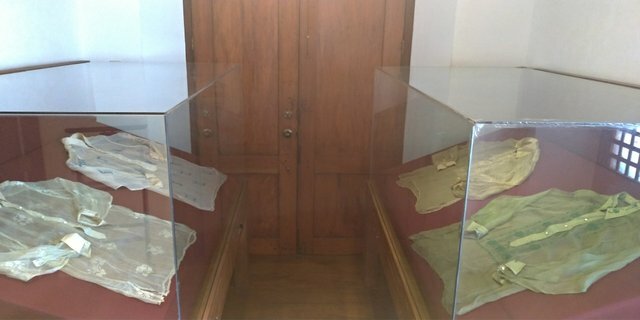 In these rooms are clothes, shoes, accessories, certificates, collectibles, memorabilia and what-have-yous of the former President Elpidio Quirino. 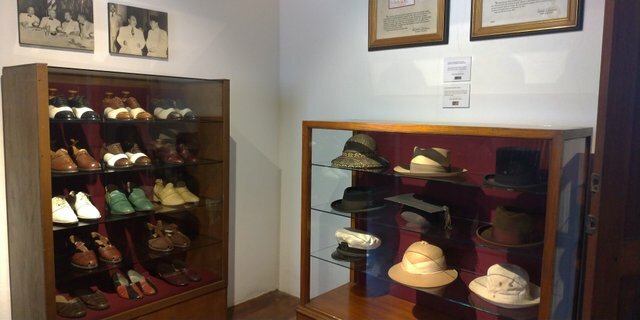 Displayed are portraits of the president and his impressive collection of hats, walking staff, barongs and shoes. 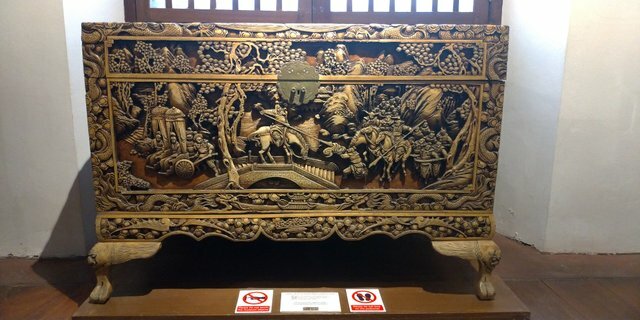 What stood out for me the most though is the carved chest that was gifted to the president by Generalissimo Chiang Kai Shek at the Baguio Conference of 1950. 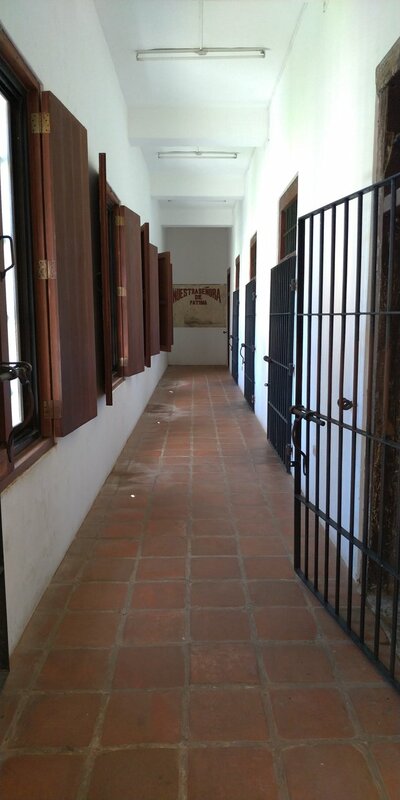 After touring the rooms, you will then be lead to an exit which will take you to the courtyards and to the cells. 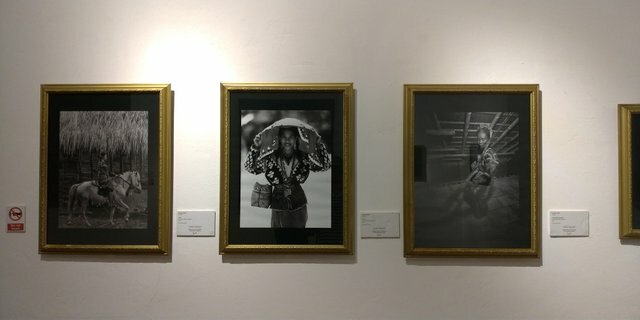 In one cell, there is a gallery of portraits of women of the Philippines of different tribes and cultures. 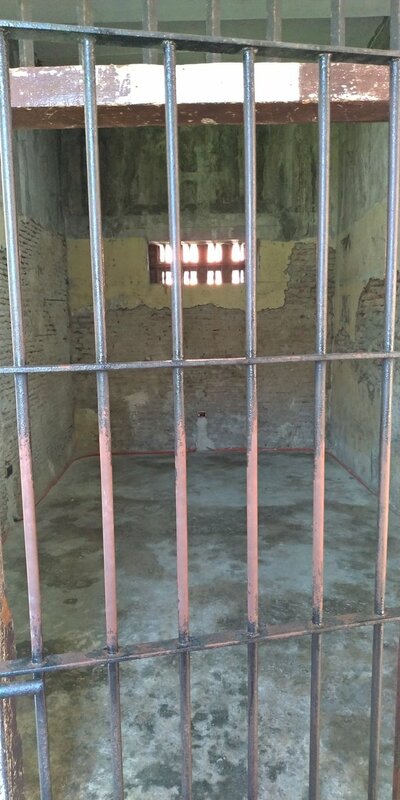 These walls, these empty cells and this whole compound stand as a silent reminder of the colonial oppression suffered by the Filipinos at the same time it is in memory of the struggle that our leaders and ancestors fought for our liberty that we are enjoying now. 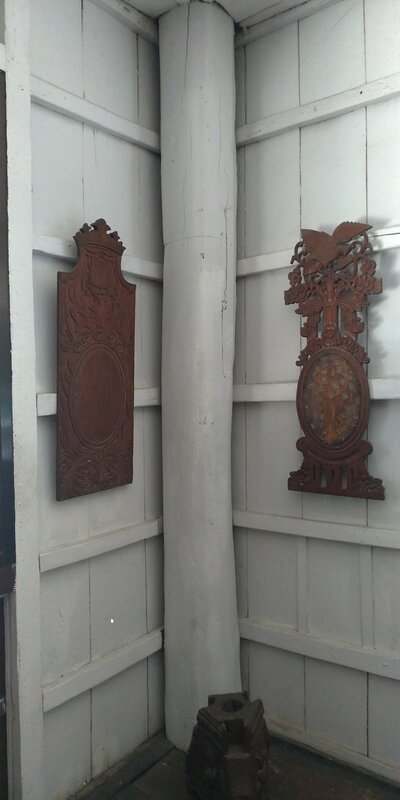 Another oddity is the hosting of gallery of different portraits of Filipinas which were displayed in one of the cells. 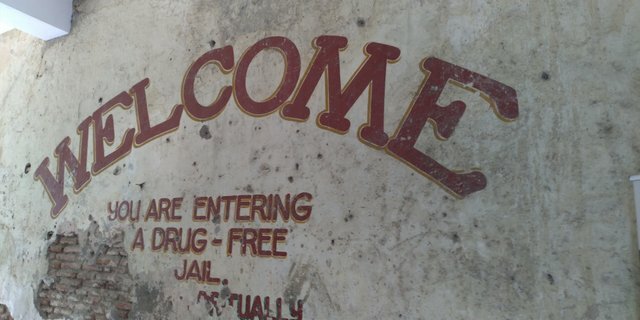 We were about to exit the compound had we not noticed the poster in the other courtyard. However, it does give a warmth and a break from the grimness of the place. This ends our tour for now. I planned on making this as one post but it seems it is not enough. Part 3 will be up. 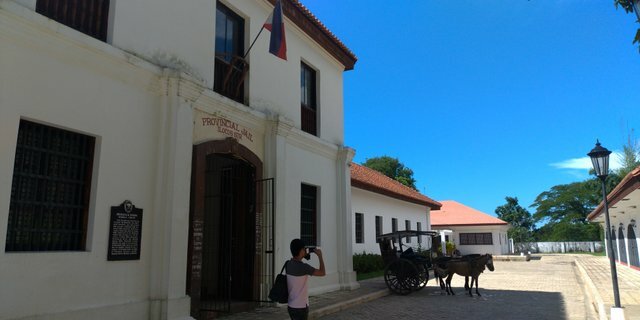 Hope you can visit the whole of Ilocos region. There are lots to see. 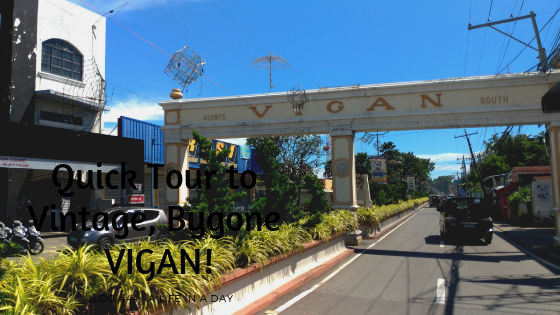 From La Union to Cagayan haha! howdy there leeart! wow sir..good post! 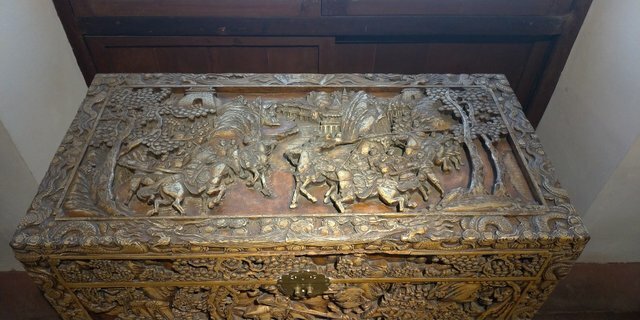 love those carriages, that would be so fun to see the city in. 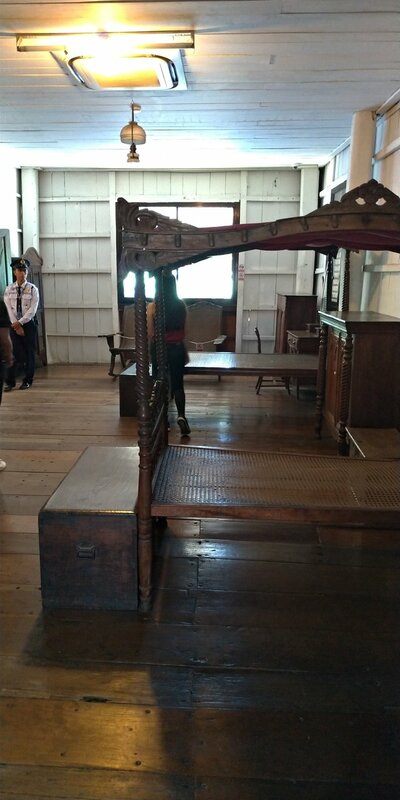 The museum, jail and library are so interesting as well, very educational! my sp is about 40% so I'm doing small votes today. It was a pleasant ride during our tour. I was actually surprised. It was my first time visiting this part of the city. There are more to see. I hope I can visit again. That's all right. My SP depletes so quickly as well. thank you so much leeart, yes they need to give us ten times more sp to help others with! lol. Long time no see @leeart. Wala maxado haha! 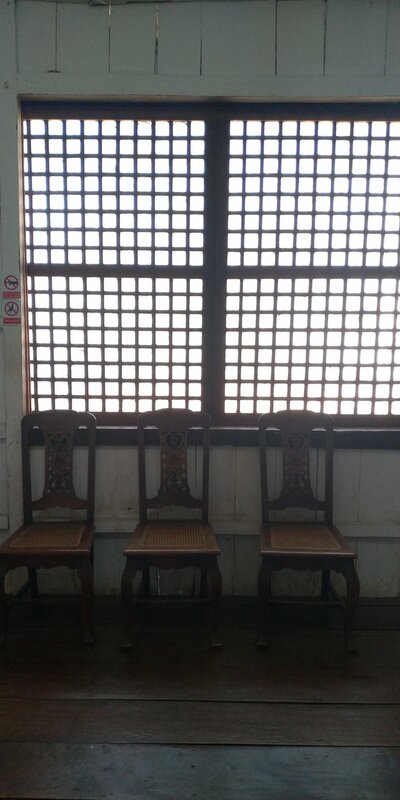 Nakaalala lang magvisit ulit dito. And have also received a 3.00 percent upvote. Wow, that's a lot of photos! Nice seeing that part of the world. 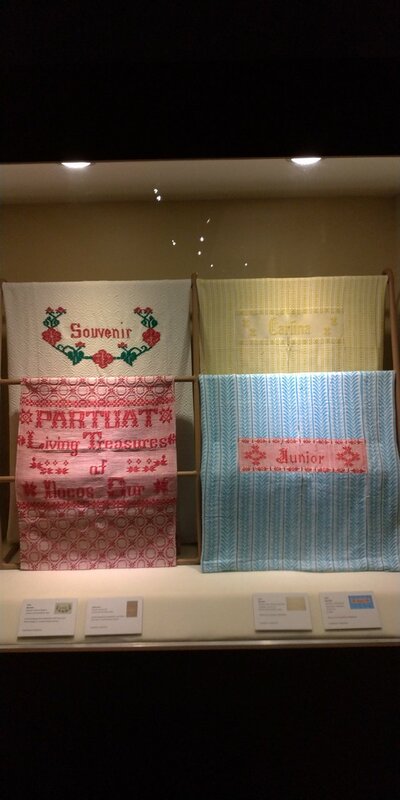 Love all the museum pieces and textiles. Nice!